A couple more photos from the recent Sustainability Fair. 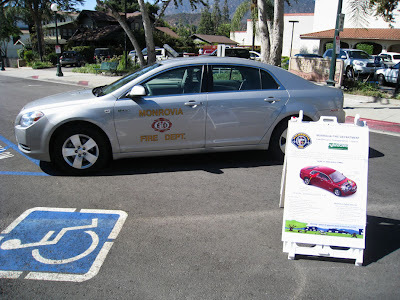 The above photo is the Monrovia Fire Department's Chevrolet Malibu Hybrid car. 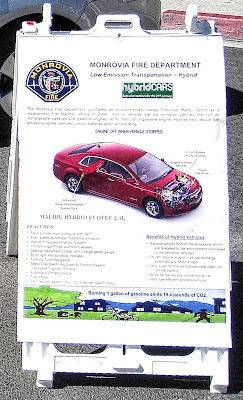 The bottom photo is the info sign that I've enlarged and tried to make the text a little more legible. 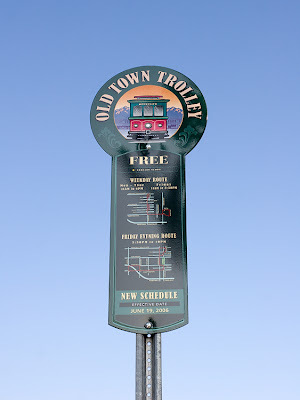 Click on either image for larger versions.